Now is the time of year to be conscience of yard and garden clean up. 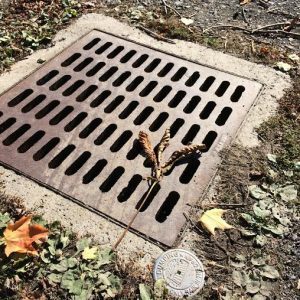 Make sure you keep leaves and grass out of storm drains. Fallen leaves and grass clippings can plug storm drains and can cause flooding to our roadways. If yard waste such as leaves, grass clippings, and small twigs are disposed of in a storm drain, they will make their way to a natural body of water where they threaten aquatic life and degrade water quality. 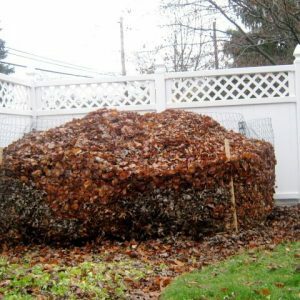 You shouldn’t feel obligated to rake up every last leaf in your yard this fall. Let some leaves stay on the ground — they have a lot of benefit to wildlife and your garden. A leaf layer several inches deep is a natural thing in any area where trees naturally grow. The leaf layer is its own mini ecosystem! Many wildlife species live in or rely on the leaf layer to find food and other habitat, including chipmunks, box turtles, toads, earthworms, many insects species. From a gardening perspective, fallen leaves offer a double benefit. Leaves form a natural mulch that helps suppress weeds and at the same time fertilize the soil as they break down. Why spend money on mulch and fertilizer when you can make your own? If you must rake up your leaves, don’t throw them in the trash. Compost them or drop them off at a municipal recycling center so they can be turned into compost that you and other members of your community can use in the spring. Some communities even offer curb side pick up of leaves specifically for municipal composting operations. Avoid leaf blowers. They are loud and create noise pollution and rely on fossil fuels which pollute our air and contribute to global climate change. Use a rake instead. You’ll be able to hear the chirping of birds and other natural sounds while you’re working, plus you’ll get some good exercise!